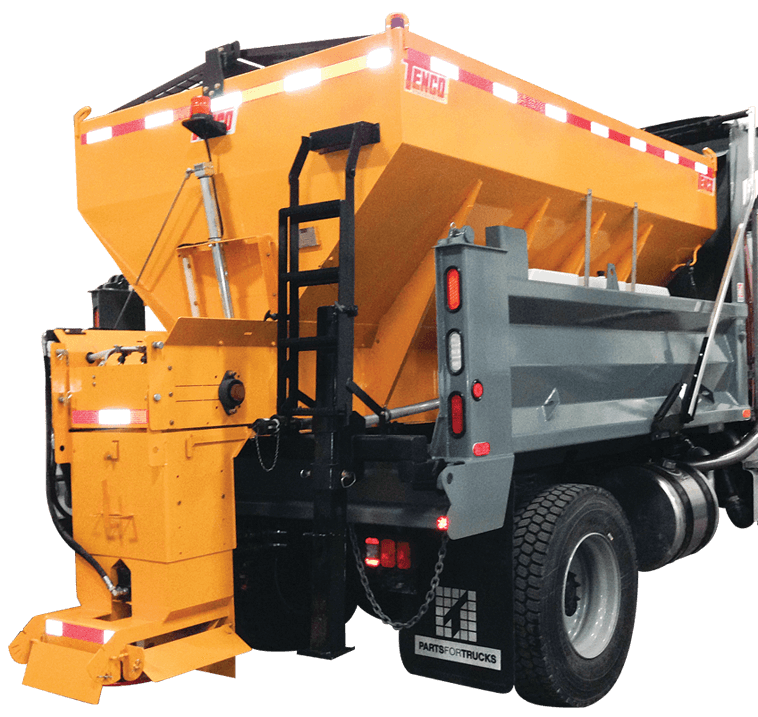 Founded in 1976, Tenco Inc. quickly forged its place as a North American leader in manufacturing, installation, and distribution of snow and ice removal equipment for the maintenance of highways, municipal roadways, and airfields. Tenco extensive product line includes snow plows, wings, spreaders, combination dump bodies, snow blowers, and airport brooms. Specialized in fast delivery of turnkey truck fleets, Tenco winter maintenance trucks are up fitted with a selection of snow and ice removal equipment tailored to satisfied customer needs. This solution ensures a complete compatibility between cab chassis and mounted equipment for optimal performance and reliability. "Beginning in 1994 the Town Of Ithaca’s use of Tenco products started and since that time there never have been any surprises or disappointments, which is a very good thing. Tenco sets a high standard for their product and their staff is dedicated to delivering that product. The installation process is thorough, ensuring a dependable and reliable product upon delivery. Should there be any breakdowns the process is just as easy and dependable, just identify the specific piece of equipment, they review their files and you get the right part, reducing any downtime and headaches. In an effort to meet the expectations of a very mobile community the quality of the Tenco products allows us to fulfill those expectations." Founded in 1976, Tenco Inc. quickly forged its place as a North American leader in manufacturing, installation, and distribution of snow and ice removal equipment for the maintenance of highways, municipal roadways, and airfields. Tenco extensive product line includes heavy-duty snow plows, wings, spreaders, combination dump bodies, snow blowers, and airport brooms. Pacific Paving approached Tenco for a contract that required specific equipment, capable of withstanding severe duty. Thanks to TENCO’s solid project management, we were able to deliver four separate models – manufactured and installed according to specific requirements - on time. Since 2014, TENCO and RAFAT General Contracting, have built a mutually beneficial relationship that has increased the capacity and functionality of their fleet. With solid management and carefully controlled processes as a priority, TENCO is able to adapt and innovate to our clients advantage. Since 2014, we’ve manufactured and installed a fleet of Snow & Ice equipment helping Croupi & Sons fulfill winter maintenance contracts across the GTA.